Click to enlarge that before and after photo. Can’t begin to comprehend the damage to homes and lives that this tornado has done. The death toll is over 50 and continues to rise. Just terrible. Prayers to everyone affected by this awful tragedy. 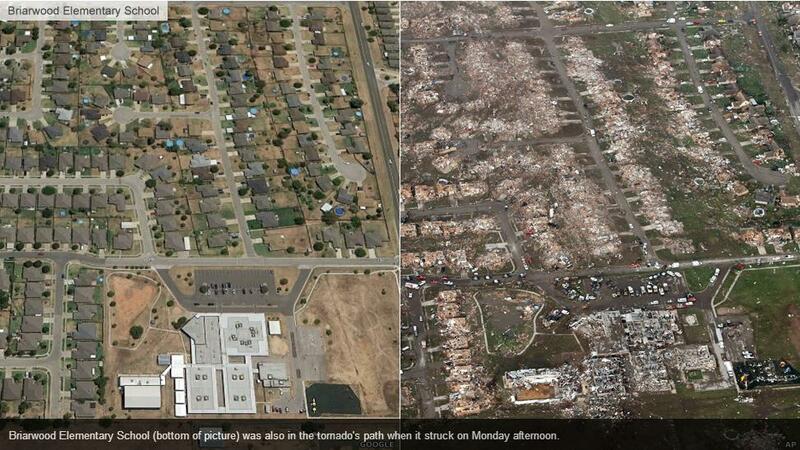 This entry was posted in News and tagged Oklahoma tornado. Bookmark the permalink.